You taking it for a run tomorrow? 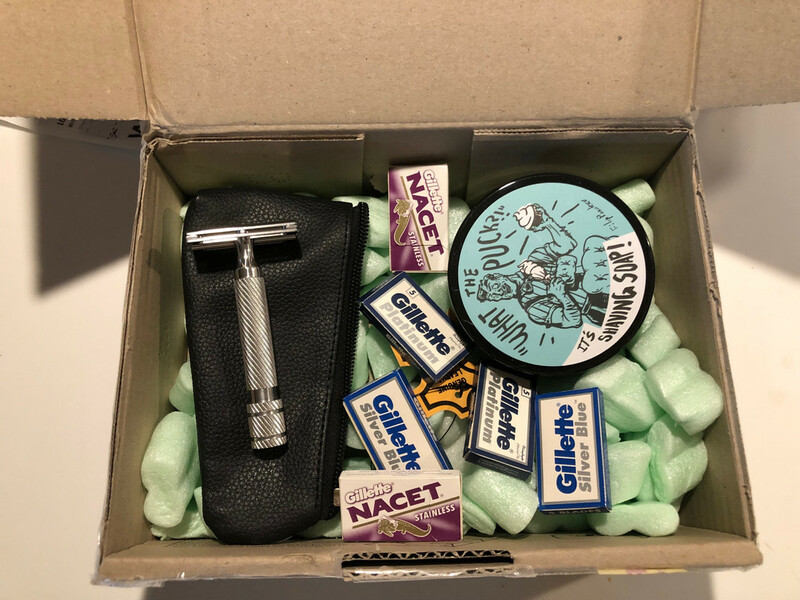 Good one @Sticky I've already got mine many many months ago, mine was a Gillette Aristocrat #66 made in England 1952-53 and I believe yours is the same as mine. 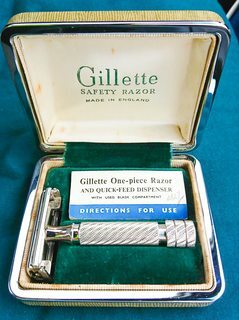 Well tomorrow /today is the birthday of the Ever Ready Lather Catcher (16/04/1907 patent) so I've booked in a birthday shave with that great razor. I Will most certainly be using this at the weekend, looking forward to that. Thanks Speedy, it was a great FB find. I believe it is a #66 as you say. How do they shave? I've heard they are one of the milder Aristocrats. 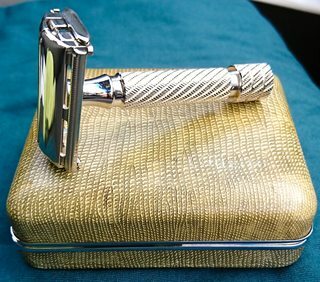 The shave aggression rate is pretty much the same as the Gillette Rocket HD500 Double Ring Superspeed made in England 1950, and you don't have to worry about buying a Parker 87R which looks very similar like an Aristocrat. 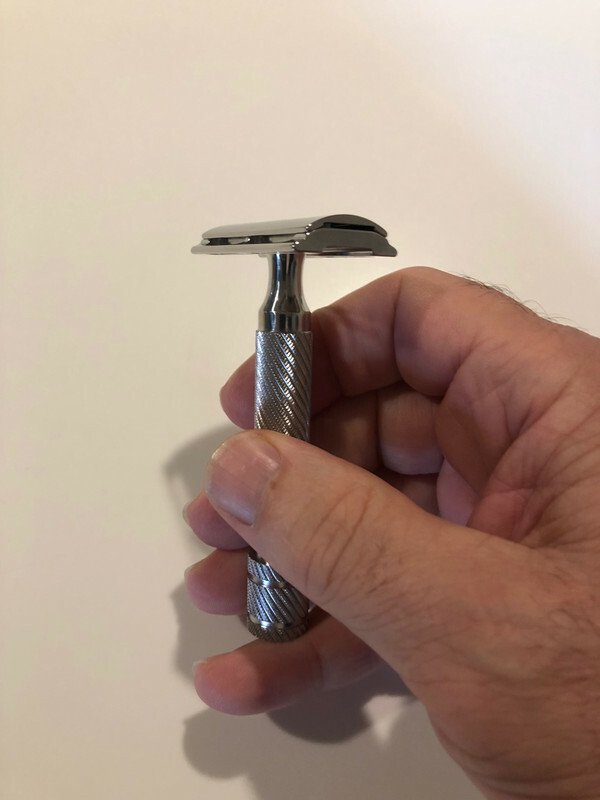 The Gillette #66 Aristocrat is slightly heavier than the Gillette Rocket HD500 Double Ring. Mail called, the Emperor adjustable has landed today. Nice work @SpeedyPC. Look forward to your thoughts. 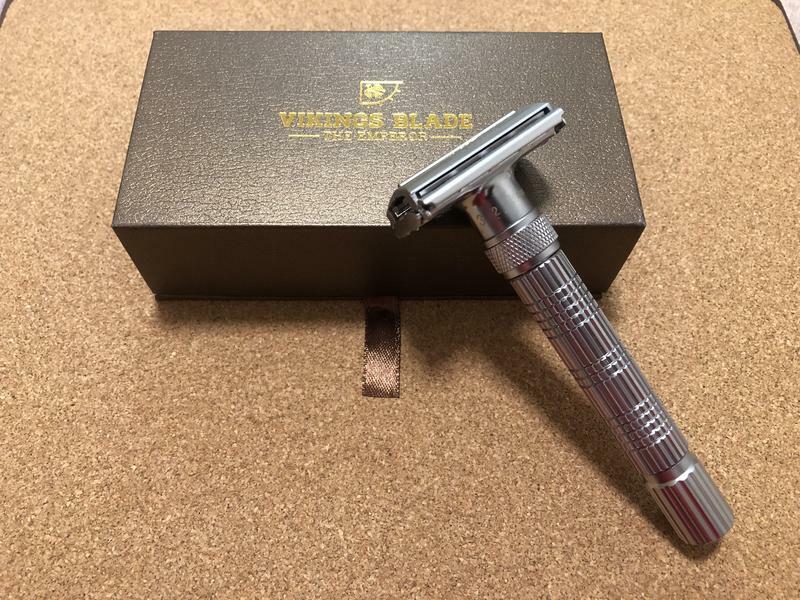 Read some good points about this razor. So zinc or brass bay doors? I received my order from VShod this morning. Order placed on Monday received today. Outstanding service and a few goodies thrown in. Many thanks guys. Which plate did you get? G'day @Pbgoose . 0.84 plate. 123 plus 4 more is still in International Postage Air Transit. A couple of new additions have come in. An all Australian affair. Will admit I only bought the Sweetheart because it was soon to disappear. I read the profile and thought, nope not for me but it will look good in the collection. 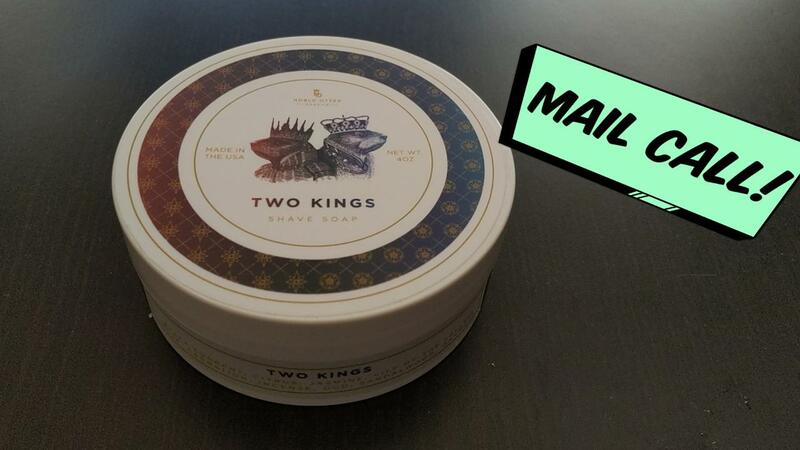 It shows up, I pop the lid take a whiff and stop, take another deeper whiff. OK into rotation you go. Red Lead is another typical Squadron damn fine soap. The Abbie and Grace Bay Rum. A big hats off to Scott. I had asked about the soap and balm a little while ago. At the time he was having packaging supply issues. I said keep me posted,when it's sorted I will pick some up. Scott messaged me earlier in the week to say everything was back on track and he had stock. OK I would like a soap and balm in the Bay Rum please, just let me know the price and I will transfer the money. Due to work commitments I'm replying to his messages at all times of the day and night. Did the transfer and sent him a message his reply was "Posted it yesterday so you could have it before the holidays". Thanks for the faith and Oh it made it and it smells goooooooood. Racking it up for a shave later tonight.